HEAD GRAPHENE PRESTIGE PRO tennis racquet Marin Cilic -Reg$225 - 4 1/8"
Suitable for Tennis, Badminton and Squash Racquet. Super grinding sand wear-resisting, absorb sweat, prevent slippery, breathe freely. 6 pcs Absorb Sweat Band. The GRIP can be enhanced the play ability via the racquet. Suitable for Tennis, Badminton and Squash Racquet. Keep from slip of the racquet and absorbent perspiration effectively when you play. The GRIP can be enhanced the play ability via the racquet. Super grinding sand wear-resisting, absorb sweat, prevent slippery, breathe freely. Trending at C $6.67eBay determines this price through a machine-learned model of the product's sale prices within the last 90 days. Condition is Used. The Racquet is strung with Wilson Revolve 16 Gauge, Grip Size is 4 3/8”. 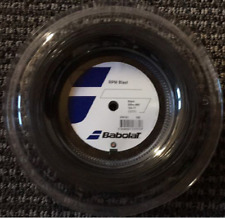 If you have played with Bubba racquet before then you are familiar with the hollow sound it makes. So I've injected insulation from 3 and 9 o'clock down the throat and down to the handle. Gamma RZR Big Bubba 137. Mastering it unlocks an exponentially better level of tennis. RacquetGuys is an authorized dealer for all the top racquet manufacturers and has been servicing racquet sport enthusiasts for 18 years. It is categorized very stiff twice and stiff once & an excellent choice for the court. It's in excellent pre-owned condition with very light normal ware. 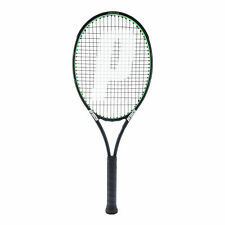 Its a great quality racquet that's durable and hard to find in this condition. Condition is Used. 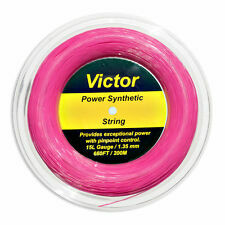 Strung with Wilson Revolve 16 Gauge String, Grip Size 4 3/8”. RKEP thin over grip: (NO self adhesive back) G10: 0.60mm. 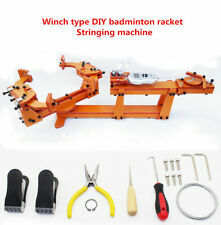 racket grip to search on YouTube. WET TAPEover grip. COLOR: Free mix up any color any number from 10 colors. How to change grip Available color. Wilson Hyper Carbon Pro Staff Tour 95. Grip Size: 4 1/2". Head Size: 95 Sq. WILSON BLADE 98 16x19 COUNTERVAIL. String Pattern: 16x19. Racquet Specs. Weight (strung): 11.30 oz. Headsize: 98 sq. in. Balance: 13.125 in. Head Light (3 pts). -Condition: I would rate as 8 out of 10. Racket in very good condition. Grip is good condition a little dirty but solid. Babolat prince head style. Ideal for cooler weather. Since some Players refer a tacky wet grip, we created proprietary Tourna Tac, which delivers a tacky feel while absorbing sweat to minimize slippage. Don't settle for imitations made in China that slip after brief play. 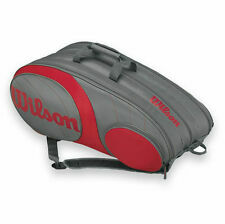 Pros on tour switch to a new racquet when the grip becomes slippery but your typical player does not have that luxury. Tourna Tac has the best of both worlds offering a tacky feel and durable grip. Grip Tape is the ORIGINAL super thin and tacky gauze tape. Gives you a rough, very tacky feel. 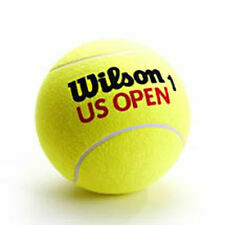 Is also a standard for building up tennis racket handle size - one layer builds grip size up by 1/16. Each roll is 360" long. Can use on any handle. Suitable for Tennis, Badminton and Squash Racquet. Keep from slip of the racquet and absorbent perspiration effectively when you play. The GRIP can be enhanced the play ability via the racquet. 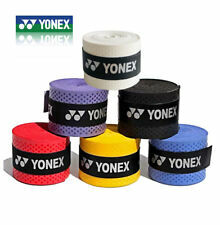 10 Pcs x Tennis/Squash/Badminton Racquet Band. Wilson Blade 98 Countervail 16x19 Tennis Racquet - Brand New 4 3/8. Condition is New. Shipped with USPS Priority Mail. The Mega Tac's proprietary tacky PU coating clings to your hand. The back side of Mega Tac is slightly tacky so it leaves no residue on the racquet grip. Mega Tac is very durable and extra wide. It ends twisting and sliding. Other tacky grips lose their tack quickly, but Mega Tac lasts much longer. Mega Tac grips you back and the tack lasts and lasts! You need to feel it!. Suitable for Tennis, Badminton and Squash Racquet. 2X(The GRIP can be enhanced the play ability via the racquet. Keep from slip of the racquet and absorbent perspiration effectively when you play. ). Trending at C $29.44eBay determines this price through a machine-learned model of the product's sale prices within the last 90 days. Suitable for Tennis, Badminton and Squash Racquet. Anti-slip Racket Belt x 1 set. Can be enhanced the play ability via the racquet. Keep from slip of the racquet and absorbent perspiration effectively. 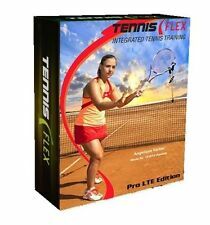 Luxilon Alu Power 125/16L Tennis Racquet Strings (Pack of 4) choice of color ! Prince O3 Speed Port White Midplus Tennis Racquet. 4 3/8.